March is Fraud Awareness Month, and the RCMP wants to spread the word that fraud crimes are on the rise. Fraud-related offences are now thought to be as profitable as drug-related offences, estimated at between $10 and $30 billion annually in Canada by the RCMP’s Commercial Crime Branch. The majority of these crimes aren’t committed by kids at their computers — 80% or more of the work is conducted by criminal organizations. The only good news is that the majority of frauds can be prevented by identifying the methods used by fraudsters. The more you know about a fraud, the less likely you are to fall for it. Landlords fall prey to these scams, from grow operations and property damage to tenants who mask a bad rental history or use a fake identity to avoid collection. You can avoid falling victim to organized crime and tenant fraud by thoroughly screening new tenants, including running a tenant credit report. A tenant credit report, when used in conjunction with a completed rental application, can assist a landlord in verifying the identity of the rental applicant. A fraudster may not have access to the victim’s credit report, and therefore cannot accurately recreate that information on the rental application. Should the prospect try to use a false name, or misrepresent keys facts about their past, the credit report and the rental application may not match. 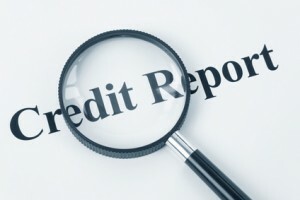 The credit report also can link the applicant’s name, date of birth and SIN to confirm the individual’s identity. Before meeting the applicant, also view the applicant’s ID for later comparison. The credit report offers details about the rental applicant’s financial habits and employment activities. This is a key indicator in determining whether they will pay rent reliably and on time. This information can also flag suspicious income. By viewing this credit history, a landlord can confirm that the tenant has a legitimate source of income. If the credit history is poor, a landlord can disqualify an applicant who has not been telling the truth about their credit-worthiness before they lose money from a bad tenant. If no credit history can be found, the landlord can look into possible reasons for the lack of credit to determine if the applicant is hiding something, or look for other ways to confirm income. Often, those engaged in criminal activities have ruined their credit somewhere down the line. An applicant who is cash-rich but credit-poor may need to offer an explanation. A credit report also can be useful in catching a rental applicant who has not been forthcoming about their true rental history. For instance, a credit report often will reveal previous addresses associated with the applicant. If an address is not listed on the rental application, the landlord has the opportunity to find out why it was omitted, and to ask to speak with the previous landlord to uncover potential problems like an eviction, disruptive behaviour or past due rent. Credit reports also flag whether the rental applicant has used other names. A credit report is an important tenant screening tool because it can flag potential problems. This allows the landlord the opportunity to follow up with the individual rental applicant to determine whether there is a reasonable explanation for any discrepancies, or perform additional due diligence, like requiring back-up documentation necessary to clarify any potential problems regarding an individual tenant. Very true. I ran into a few instances were college students didn’t have sufficient credit to run a credit report though. I asked for their parents credit report and also accepted a rental application. Tenant screening is so important. We also had a few squatters in a couple rental properties before I started screening tenants. I wish that I would have screened them first!